Anaheim Clinical Trials a leader in clinical trials research and special patient populations partners with Verified Clinical Trials. Verified Clinical Trials (VCT) represents the largest North American clinical trials database registry to protect clinical research volunteers and improve data quality. Anaheim Clinical Trials becomes yet another center for excellence that has joined the expansive Verified Clinical Trials network. Anaheim Clinical Trials (ACT), a recognized center of excellence for clinical trial research for special patient populations and ethno- bridging trials, protects the safety of study participants and data quality by using the Verified Clinical Trials (VCT) clinical trial database registry system. If a potential clinical study participant attempts to enter into simultaneous multiple trials or reenter into another trial prematurely, Verified Clinical Trials provides a successful tool to identify and stop dual or premature clinical trial enrollment. "Verified Clinical Trials is the largest cooperative registry and network in North America, and the only clinical research volunteer database registry and network that includes both early and late phase clinical trials. As a member, Anaheim Clinical Trials joins other sites dedicated to quality clinical research," said Dr. Mitchell Efros, CEO. "We are delighted to have Anaheim Clinical Trials on board with us." Anaheim Clinical Trials (ACT) is an adult and pediatric Phase I-IV clinical research center with full-service CRO capabilities, located in southern California (Anaheim). In addition to healthy volunteers, ACT has been particularly successful in enrolling special patient populations, such as renal- and hepatic-impaired patients, and Japanese subjects for ethno-bridging trials. Our certified Principal Investigators have the expertise and interest in a wide variety of therapeutic areas, including GI, pain, metabolic/inflammation, infectious diseases, and respiratory. ACT has been recognized by our customers for excellent quality research, timeliness, high patient enrollment, and ease of doing business. For more information, please visit our website at http://www.act-trials.com. 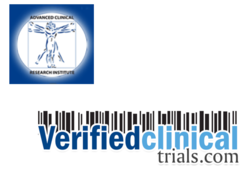 Verified Clinical Trials is a forward thinking company developed by experts active in the clinical research community to proactively improve research subject safety and data quality in clinical research trials. Verified Clinical Trials halts dual enrollment in clinical trials and defines itself as the world's leader in the field of database registries in clinical trial research. Verified Clinical Trials is the only clinical research database registry designed specifically to enhance the quality of both early and late phase trials and has the scalability to reach all sites nationally as well as on a global level. Verified Clinical Trials offers numerous other value added services to the clinical research site, CRO, and Pharmaceutical Sponsor, that prove invaluable with regards to financial and legal issues and liabilities. For more information, RSVP to visit http://www.verifiedclinicaltrials.com.